In May 1997, the Chicago Sun-Times published an article that revealed Chicago was killing more than 40,000 pets each year. 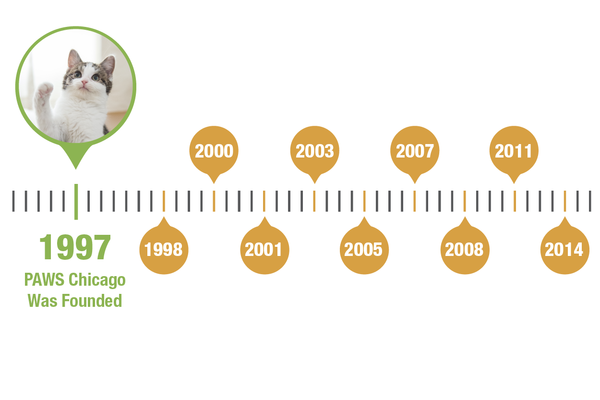 Our city pound (Chicago Animal Care & Control) had one of the highest euthanasia rates in the country. This, combined with Alexis’ experience, convinced Paula that she had to do something. 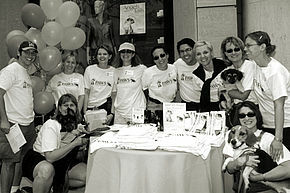 From the moment PAWS founders walked into the city pound (Chicago Animal Care & Control) in 1997, the magnitude of euthanasia really hit home. Killing was the primary activity. 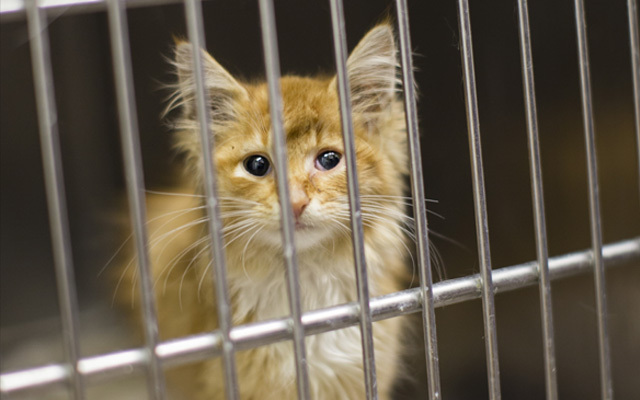 That year, 28,314 animals entered the pound. 26,394 were killed—93.2% of the animals taken in. A small number of animals—one pavilion of dogs and a handful of cages in the front lobby for cats—would be spayed, neutered and made ready for adoption. They would sit there for months, until they started spinning from cage stress—a sign of mental deterioration—got sick or were adopted. They were never walked or socialized. There were no transfer groups rescuing animals. Every week, nearly 800 animals were sent into high-capacity gas chambers. Euthanasia crews operated 24 hours a day. During founder Paula Fasseas’ first visit, she took photographs of dead puppies on top of cages and in buckets. These photos can be seen here, you can also read a description of what the euthanasia process was like. Please note, these photographs are graphic and may be upsetting to see. Paula knew that if people could see homeless animals and understood the reality they faced, they would adopt. But convincing the public to visit a sad and inconvenient city pound was an uphill battle. There was another way!